The topic of money and expenses come up frequently in every household. Don’t think for one minute that your children do not hear it but they more than likely don’t necessarily understand it. Don’t be afraid to talk to your kids about money and help them develop an appreciated for the cost of things you have. 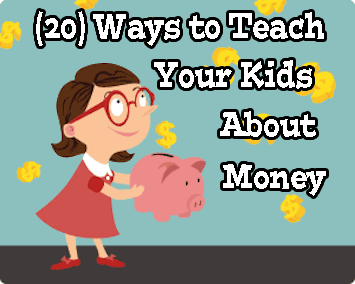 We’ve all heard that money doesn’t grow on trees and that is what we need to teach our kids. Kids have lots of wants but it is important to discuss with them the difference between needs and wants and the fact that everything costs money – not just that new toy they want. Give your child an ability to earn their own money. This gives them an appreciation that not everything is free and is a great way to begin a reward system. When your child begins earning their own money (allowance) then they are going to certainly want to spend it. Your goal as a parent is to teach them the value of saving money. One way to do this is to make a savings chart. 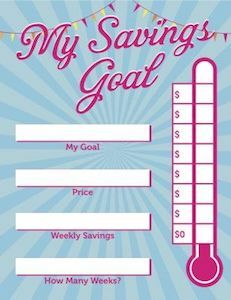 Use colors or stickers to help your child save towards a goal. Not only does this help them develop an appreciation for saving but it also helps them develop patience and an understanding that some things take time to achieve. The need for instant gratification is a difficult thing to overcome – especially in kids. all of these things can be used to promote saving money. Make it fun for your child. Allow them to decorate it the way they want and make it a craft that they make their own. Them promote the concept of saving and let them scower the house looking for loose change to add. The more fun you make it, the less it will feel like work to them and the more likely they will take to it. No matter how small show your child that you appreciate their efforts by offering some form or reward. This can be as simple a positive verbal praise or a preferred activity or game of their choosing. The idea is for them to build a positive reinforcement to this behavior and thus a desire to continue with it. As they save come up with a system to ‘match’ their effort. For example for every $10 they save you will add $2 to their bank. Do this at pre-determined intervals (the first of the month, for example) and this will help to promote saving and patience (good things come to those who wait). Your child is always watching you and learns from your good (and not-so-good) behaviors. When you are shopping take the time to speak with them and explain what you are doing. Shopping around for a good deal? 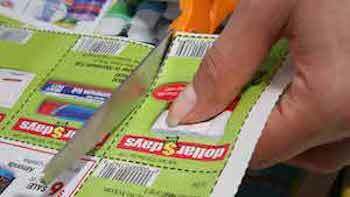 Explain that and the benefits of finding the same item cheaper (more money in your pocket). Young kids are like sponges and absorb a lot more than we realize. Don’t just assume that they won’t understand – talk to them. Going to the grocery store? Give them a list of items to help you find. Ask them to look for the cheapest one they can find. Turn it into a game and this will not only teach them about money but will also help alleviate your child’s boredom which will make your shopping experience so much more enjoyable for everyone. 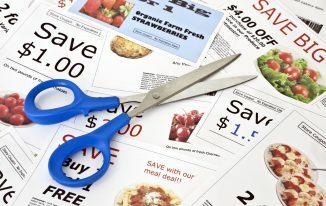 Our kids were introduced to coupons at a very young age and this helped them to understand that you do not always need to pay full price. 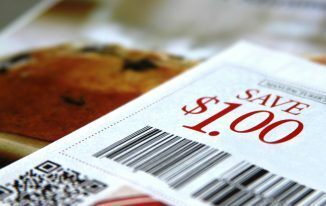 Using coupons has just become the norm for them and they will repeatedly ask “do we have a coupons for this?” while we are shopping. While this was embarrassing at first (especially because my son had a habit of shouting this in a busy grocery store) it did serve a purpose as our son now thinks about cost and appreciates looking for savings (possibly more than he should). Most of us do this but we don’t always explain to our child just what you are doing. Again, they understand more than we realize. Don’t be afraid to explain to them that you want to shop around for an item to see if you can find it cheaper. We do this all the time at stores that price match by using the Amazon Shopping App (Toys R Us for example). Now if our son finds something he wants he almost always asks me to look for it cheaper on Amazon. If they want to buy a new bike then require them to help out with a yard sale or some other activity to help raise some money. This will help you get rid of some unwanted toys and help them feel like they contributed in the process. You can also use online sites such as Ebay or Craigslist to sell some ‘stuff’ and in the process teach your kids about buying, selling and trading. Again, make them part of the process and don’t assume that they do not want to help. 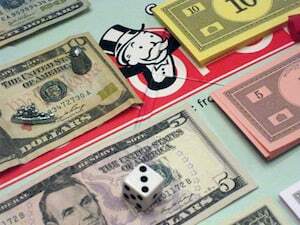 Board games such as Monopoly and Life are great ways to teach kids about money, saving and pricing. Make it less about winning and losing and more about buying and selling. Also, when you go to the store let your child participate in the checkout process (scan items at sell checkouts, give money to the clerk). This allows them to gain confidence and to understand what it is like to ‘pay for’ things. Schools and churches are almost always involved in some form of fundraising and they can be a great way to teach your children about money, and more importantly, giving. 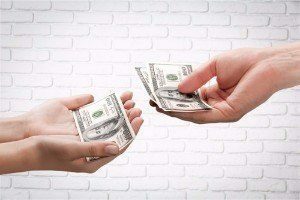 Giving your time and money to others can be a very difficult concept for kids to understand but it can also be a valuable life lesson that stays with them forever. Well maybe ‘business’ is the wrong term but don’t be afraid to help your child earn their own money. Mowing lawns, shoveling snow, walking dogs or delivering papers are all great examples of things your child can do to earn their own money. Even setting up a lemonade stand will help introduce your child to the concept of money and customer service. 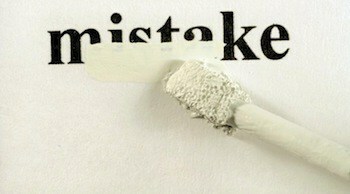 Don’t be so quick to intervene when you see something in need of correction. As a parent it is difficult to see our kids ‘fail’ but often times in life failing is more powerful than winning. Making a mistake with money is part of life – let them learn from it. Maybe use it as a way to talk about a store’s return policy or ways to research a purchase using product reviews. Both will help reduce it from happening again in the future. When your child is ready help them to open a bank account. Overall the concept of a bank is very difficult for any child to understand but it can’t be avoided forever. Not only does this help them for the future but it also reduces the chances of money being lost or spent on an impulse purchase. Some States have recycling programs that offer a small amount of money for items such as newspapers, cans and glass bottles. Reach out to your local recycling center and find out how much they pay per pound or take your items directly to a retail store that has a recycling kiosk. 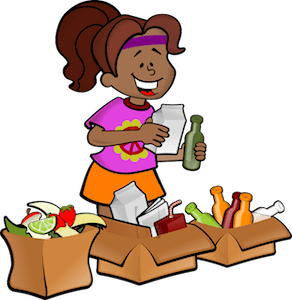 Get your kids involved and allow them to reach out to family, friends and neighbors to provide a recycling service for them. Does your child have a knack for making custom crafts or jewelry? Use this talent to teach them about money and allow them to sell their creations to friends and family. If they want you may even consider setting up at a local craft fair and taking it to the next level. 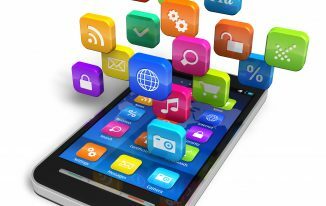 Is your child a natural techie? Get used to it. In 2018 kids use technology on a daily basis and some of them get pretty darn good at it. Many kids (with the help of their parents) are setting up Youtube Channels to show off their skills. This can be for video games, makeup tutorials, product/toy reviews or anything that interests your child. If your child’s channel starts to get lots of traffic then learn to monetize it.